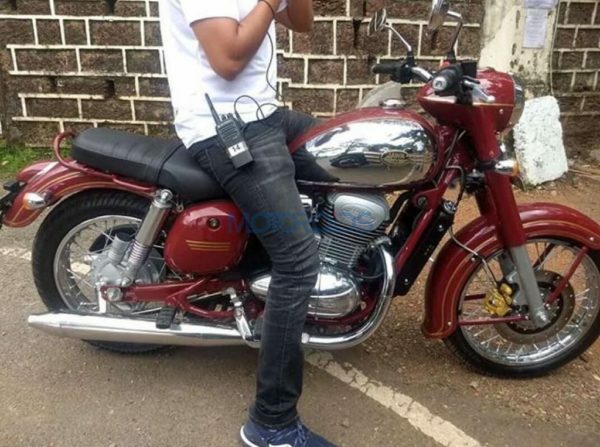 Not much time back, we showcased a picture of the upcoming Jawa motorcycle. Keeping the retro theme alive, the bike is definitely a looker. It is just a matter of some days when we see the new bike make its way to our market for which, Jawa has released a teaser video. We see the bike making its way in a rather quick manner, it also must be noted that the bike produces a very bassy sound. Jawa claim to have tried their best two make it sound like a 2-stroke engine. The bike seen in this teaser is the roadster offering, the company is reported to be offering a scrambler and even an adventure tourer based on the same platform. Not many details on the are out yet, but we do know the engine used for the new bikes. The spy shot we saw earlier also revealed the fact that the front disc brake will be equipped with ABS. The rear was a drum brake though, we think Jawa may offer a dual disc set up with dual channel ABS as well. The bike’s design takes quite some design elements seen on the Jawa’s of back in the day. There also was seen a pinstripe paint job on the flared fenders, a design throwback to the Jawa 250 Type A. At the heart of this bike is an all-new 293cc, liquid cooled, single cylinder, DOHC unit which will churn out 27 bhp and 28 Nm of torque. To give it the bike a more retro feel, it gets fake cooling fins and a twin exhaust set up. Suspension duties are seen to be done by telescopic forks at the front and dual gas-charged shock absorbers at the rear. Once out, the company will be aiming against Royal Enfield.